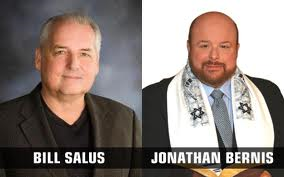 In this timely two part Jewish Voice TV show, Jonathan Bernis and Bill Salus explore the 6 requirements that had to be in place for the Psalm 83 prophecy to take place. Part one starts will Bill telling Jonathan that he is convinced the climactic conclusion to the Arab-Israeli conflict is about to occur! In these two television shows Jonathan and Bill also discuss the role of the Israeli Defense Forces in Psalm 83, why Psalm 83 is considered a missing prophecy, and how Israel becomes the next Mideast superpower. Also, find out the fate of the Hamas, and several other Psalm 83 antagonists.